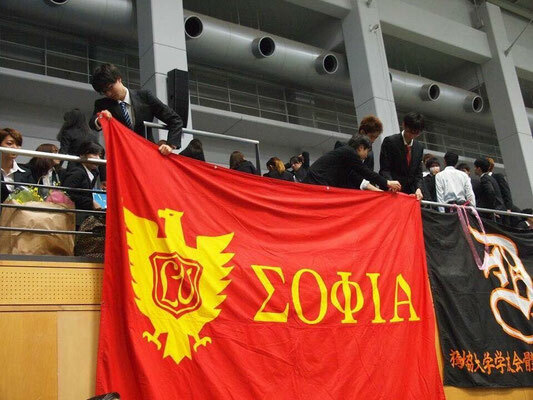 Welcome to Sophia University! And thank you so much for visiting our website. We are Sophia University dancesport team (occasionally referred also as "Sophia Universiry ballroom dance club"). We openly welcome you to be a part of our team so that you could make friends and practice your Japanese language skill, at the same time experiencing traditional Japanese seniority culture within a group through lots of activities with us! Before introducing what we do in detail, we would like you to know several stuff regarding a foreign student, like you, joining us. [What are we?] 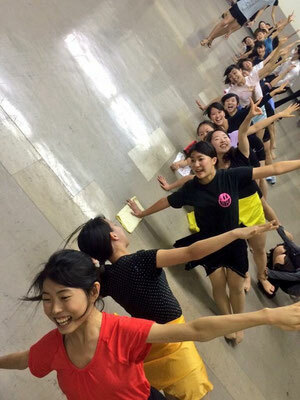 Firstly, we are a sport team 運動部（うんどうぶ）, which is distinguished from clubs or "circles" サークル which only have meetings occasionally and generally thought to be "easier". On the other hand our team belongs to Sophia University Athletic Association 上智大学体育会（じょうちだいがくたいいくかい）along with other sport teams such as basketball or American football, so we have pretty tough practice in order to be skilled enough for competitions. 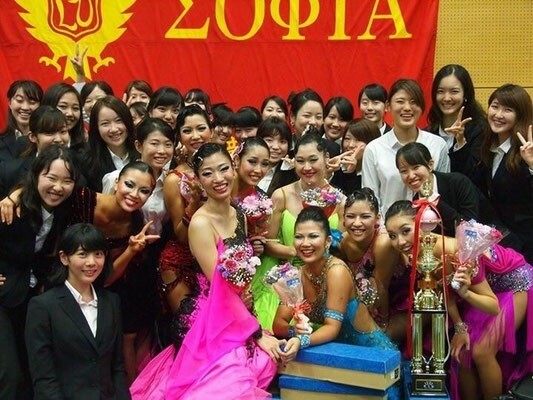 Also as you may know, our team is the top team in Sophia University Athletic Association, belonging to the １部リーグ, as well as we are the only one as a dance team to belong to Sophia Athletic Association. 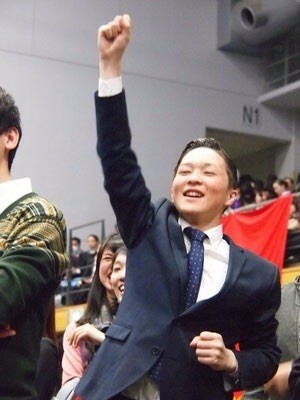 Official website of Sophia University reported our winning of championship in a regional competition in May 2015. 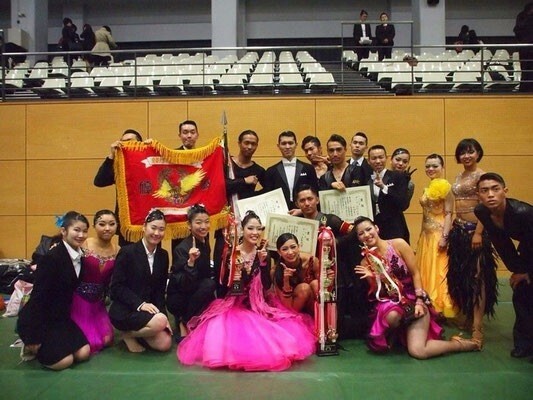 We won the 4th place as a team at All Japan University Competition in December 2015. We are very proud of what we have achieved and where we are heading for. 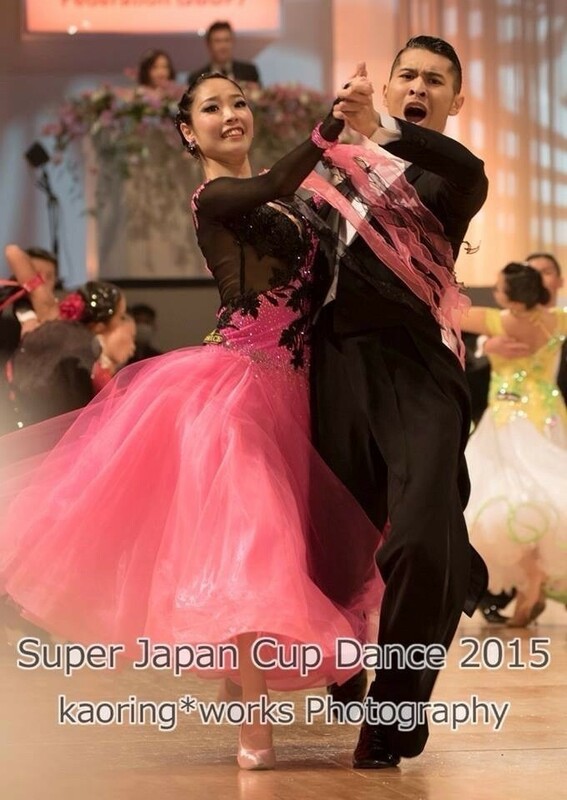 It is very special to compete under the name of Sophia University. [Practice] Our team has practice meetings 練習会（れんしゅうかい） twice a week with all members, Tuesday 17:00-20:00 and Saturday 14:00-17:00 both on campus. Besides that, we practice personally/ with a partner according to our own schedules to review what we have learned at the practice meeting. So, for example if you have classes on 1st and 3rd period but 2nd period off, you can come to the practice room which is located in the 4th floor of Hoffmann Hall (near Bld.11) and practice on your own during that period. The practice room is usually open 9am-5pm so you are responsible to manage your practice schedule and catch up by the next practice meeting to be better than others. We will have tests some time to check if you're catching up okay. We should tell you that our members come here almost everyday at their convenient time including lunch time and do trainings and practice. But this is also the opportunity for you to chat with them and do homework there. So far we'd like you to get an idea that we are not a type of group that you join to just have fun dancing after school. 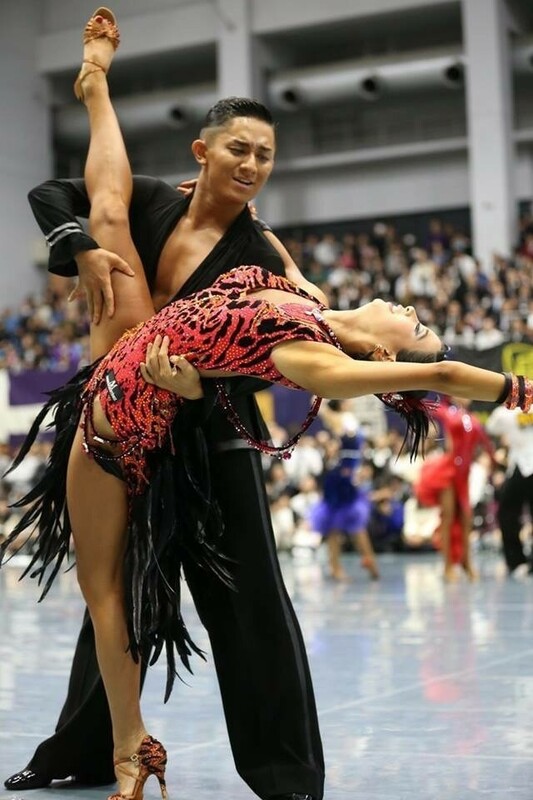 Instead we do lots of muscle trainings, teach high techniques, and often require you to dance man and woman separately so that everyone can be independent in their skill when eventually dance together for competitions. The first competition for freshmen will be on late August or early September and this will be the first time you'll practice with a partner. 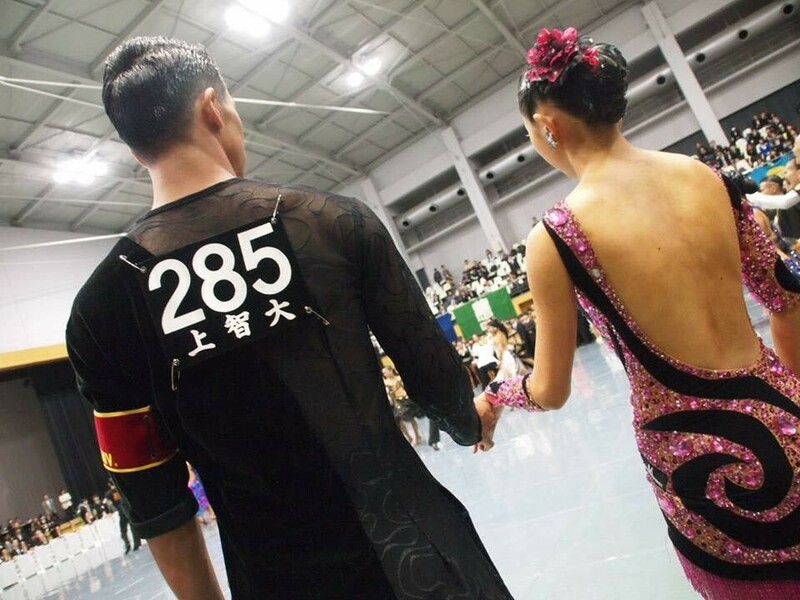 We won't have a fixed partner until we become sophomore 2年生, before that we switch partners within freshmen for every competition. We are a sport team that involves many basic trainings that may not always be very performative. So better not imagining something like what you see in our competition videos at every meeting. 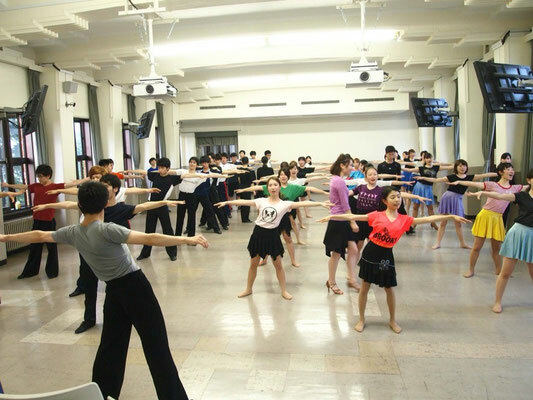 You may wonder why we're willingly devoting ourselves in dancing so much, even though we are students at one of the top Universities in Japan in the first place. The reason is that we believe that 部活動 teaches us more than just a dance step. As it is true for every sport in general, we learn to care others, cooperate with others, and to share the same image with others to give it a shape, which would definitely deepen your personality for the future after University. Now it might sound like it is really hard for you to join us, managing all the homework they task foreigners and the daily kanji tests....but don't worry. We actually have had several foreign students in our team these past years. And also we think it's worth joining. But we should note that it is also true that many of them, including foreign students at FLA and exchange students in other faculties, found being in our team unaffordable by August, when we have a training camp for a week. 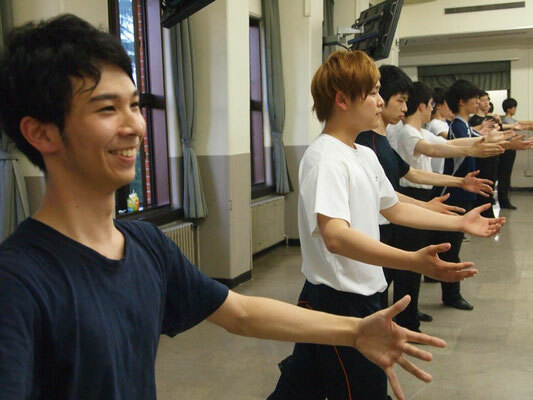 The training camp 合宿 costs you money as other clubs or circles generally do too, which might be too expensive if you don't work part-time like other Japanese students usually do. Because of this, the most common way for foreign students (who plan to go back to their country without graduating Sophia) to join us has been just to stay with us during the first semester, which we are still open for. 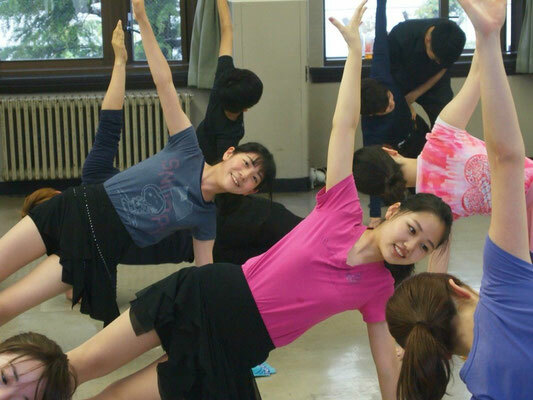 Besides that, for the whole-year participation we have had students who grew up overseas but moved to Japan with family for Univ., those who are non-Japanese but have their parents and home in Japan, or whose home is outside Japan yet plans to graduate Sophia. In any case, parental permission is most likely the key since it costs you money in addition to your academic fee, and your parents will be the ones to pay for it unless you have a part-time job. -April... Freshman-week period (3days) when you'll get free meal after school if you come with us. During the daytime we have a booth to introduce our activity. The practice meetings are open for new comers on Tuesday and Thursday after school where you can join us for easier trainings and basic fun steps if you wish. (Just normal workout outfit and socks/ballet shoes if you have would be fine) Lots of fun activities (BBQ, karaoke, Korean bbq etc) will be free for you freshmen on weekends. 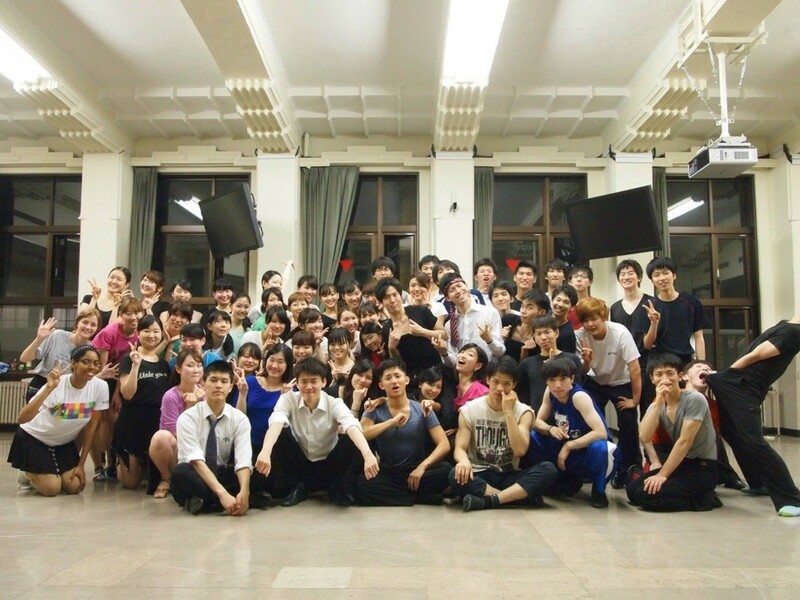 -May... Two welcome dance parties with all the freshmen from other universities around Tokyo. The training menu at the practice meetings will be back to normal including training and step learning=become tougher. We will start buying shoes around this time. -June to July... You'll learn basic steps of 8 kinds of dances for the first competition for freshmen held at the end of August (or the beginning of September). -August... Example from last year: 9-11th all-day practice at school, 12-18th training camp (we will rent a bus to get to the stayhouse), 19-21st all-day practice at school, 27-29th all-day practice at school, 30th the first competition for freshmen. As you can see above, we will be pretty busy after August including competitions every month. So if you want to stay in our team after summer, you should be careful managing your schedule to going back home so that you don't miss those competitions or practices in August. As the latter half of August is busy for us, we usually schedule our personal plans (flying back home, short trip, hangout with friends etc) in early August or in September after the first competition for freshmen finished. ....After all what we'd like to tell you is just one thing: if our team seems interesting to you, just come talk to us. Though not all of us are capable of speaking fluent English, we will always welcome you. Have a good Univ. life and we are always here for you!